Orange County joined the community in celebrating the historic groundbreaking of Orlando City Soccer’s new stadium in downtown Orlando on Thursday. This marks a monumental milestone in the continued transformation of Orange County into a mecca of economic, cultural and sports opportunities that are essential in the support of our increasingly diverse and creative population. In 2013, Orange County approved the usage of tourism tax dollars for a $94.5-million venues package marking the beginning of a transformational era of sports, creativity, and arts-driven economic development and innovation for the region. The state-of-the-art venue will be home to the Orlando City Lions beginning in the 2016 season. 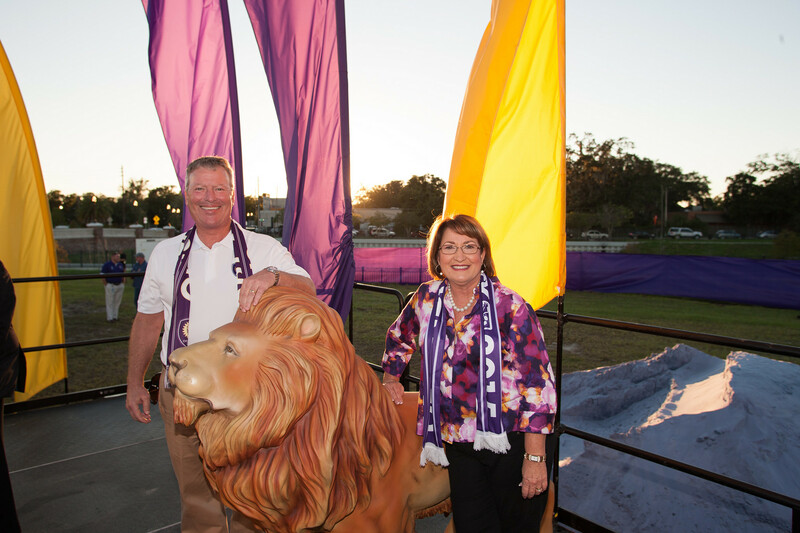 The community showed its pride with Orlando City Lion’s signature purple and team flags, fan gear, memorabilia, purple shovels and 24 tons of purple sand made the groundbreaking a colorful event. Participating fans and attendees also received a commemorative jar of the exclusive purple sand. The stadium will be designed and constructed by Populous, Barton Malow, and ICON Venue Group. During construction of the new stadium, the team will play their inaugural 2015 season at the Orlando Citrus Bowl, which is currently undergoing a $200 million renovation. Following the groundbreaking, festivities continued through the streets of downtown Orlando. Fans, community leaders and team members gathered to celebrate the historic occasion. A collection of photos from the march and the groundbreaking can be found on Flickr for use by the media.